Please visit our fabulous sponsor this week, The East Wind, to see all of their wonderful products! I hope that you are inspired by my creations and will join us over at the CYP blog to see the creations of the other design team members and enter for your chance to win a great prize from our sponsor. Process: Both cards started with printing the image onto PRISM smooth white cardstock. Card 1: I wanted to try using my Lindy's Stamp Gang Magicals to randomly color the focal image. First, I ran the panel through my Minc machine to add some rose gold foil to the image. I used my fan brush to add the Magicals to the panel and spritz them with water. I just love the way the colors sparkle and shine. I used a SSS die to cut the panel and the scalloped frame, then stitched around the focal panel with my sewing machine. 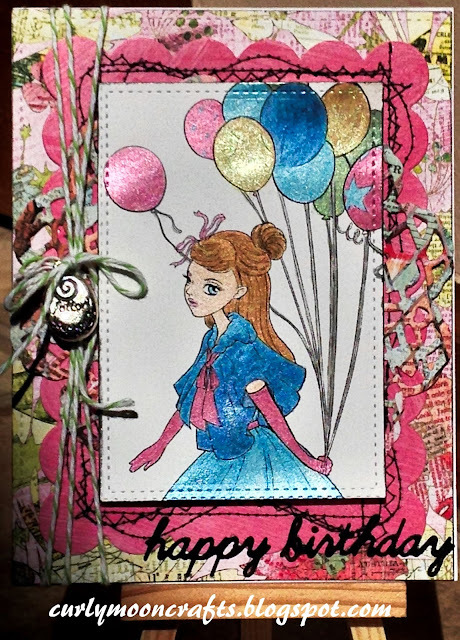 I used a stitched rectangle die to cut the base panel from my patterned paper and layered it on an A2 card base. I glued the scallop border to the base panel, then used a fun foam panel to mount the focal panel to the center. To finish, I added a sentiment sticker. 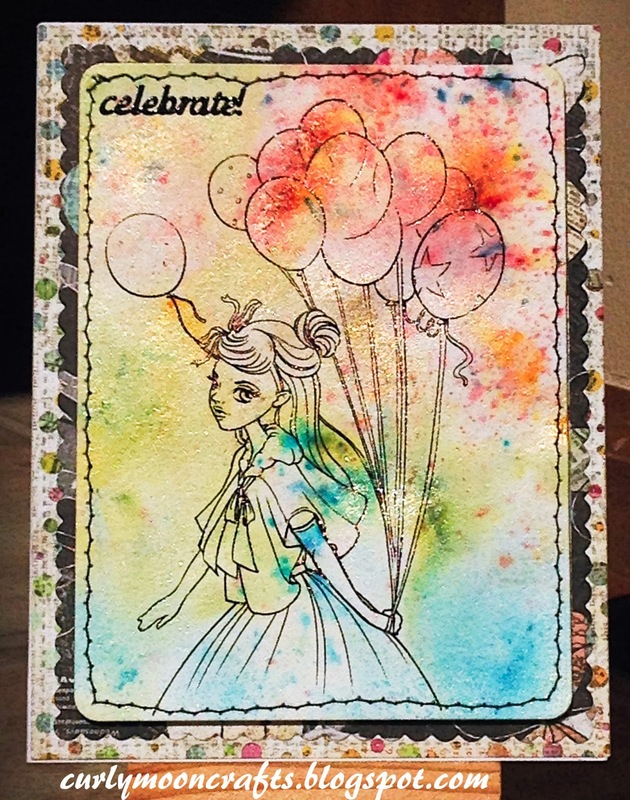 Card 2: Since we all know that I'm a fanatic for shimmer, I colored the focal image with my Pearlescent watercolor paints. Once complete, I cut the panel using a stitched rectangle die. I used a larger stitched rectangle die to cut the base panel from my patterned paper, wrapped it with bakers twine, and layered it on an A2 card base. I cut another panel with a scalloped rectangle die, stitched the edges with my sewing machine, and layered it over the base panel. I cut a doily using a Prima die and layered it on the card before adding fun foam to the back of the focal panel and attaching it to the card front. I cut a birthday sentiment from black cardstock and added it to the bottom of the card, then finished the card off with a charm attached with the baker's twine bow. Aw, such a sweet image, Patti! I love the two versions of your card! Patti these are two beautiful creations. Adore how you used the twine on the second. This will also be perfect for one entry as an anything goes creation for our challenge below.